(RxWiki News) Often, the hardest part of dieting is getting started. To help yourself succeed, avoid these five common diet mistakes. If you’ve been dieting for a while but haven’t seen any changes, you may need to take a closer look at what you’re drinking. A soda with lunch, juice with breakfast and a beer after dinner can quickly add up to more than 300 calories in just one day. Can’t get through your day without a frappuccino? That could be the reason behind your scale’s stubbornness. When dieting, the best choice is always water. Water can help you stay full while keeping you hydrated and providing numerous other health benefits. By sticking to water and avoiding high-sugar, high-calorie drinks like sodas and energy drinks, you’ll be one step closer to your weight goal. Read more about staying hydrated here. It’s happened to all of us: You order a dish that seems like way too much food, but by the end of the meal, there isn’t a single bite left. Studies have found that when confronted with bigger portion sizes, people tend to eat more. The best way to combat this is to practice portion control on your own. When making food at home, measure out servings to avoid overfilling your plate. When eating at a restaurant, ask for a box and put half of your meal in it immediately. Then eat only what’s left on your plate. That way, you’ll have control over how much you’re putting into your body. Soon, you may find yourself happier with the number on the scale. When you work through lunch and eat at your desk, you could be doing more harm to your body than you think. By eating mindlessly and not focusing on how many calories you’re consuming, you could be overeating. Overeating can be a huge factor in weight gain, and if you’re serious about shedding pounds, it’s time to focus on food. Studies have found that those who overlap meal and screen times have a higher body mass index (measure of body fat based on height and weight) and are more likely to be overweight. Sitting down for meals at the table and focusing on eating until you’re full — not necessarily until your plate is clean — can lead to healthier habits and a smaller waistline. Opting for a salad is a great start to slimming down and making healthy choices, but you may not be accounting for the unhealthy add-ons. 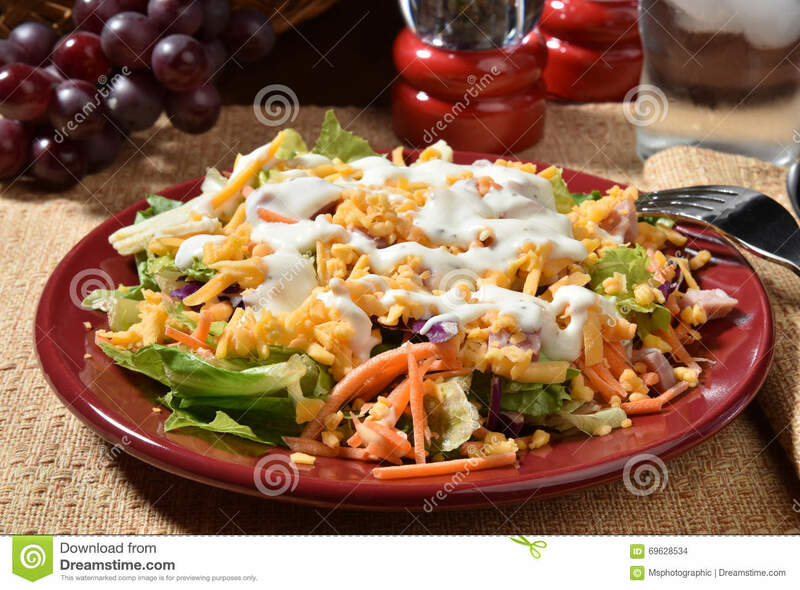 With croutons, bacon, cheese and creamy dressings, your “healthy” salad can quickly become the opposite. After these additions, some salads can have a calorie count closer to a cheeseburger. But by building hearty, delicious salads that are full of whole foods, you won’t notice the missing toppings. For a truly healthy salad, stick to lean proteins, oil-based vinaigrettes and leafy greens instead of iceberg lettuce. Whether it’s avocados or nut butter, many foods are healthy — but only in moderation. That’s because many of these foods are high in fat and calories. For instance, avocados and nut butters are packed with healthy fats and protein, but a serving size is fairly small. After two or three servings, they can become more harmful than helpful to your weight. The key is always moderation. For help eating a healthy diet and maintaining a healthy weight, talk to your health care provider.